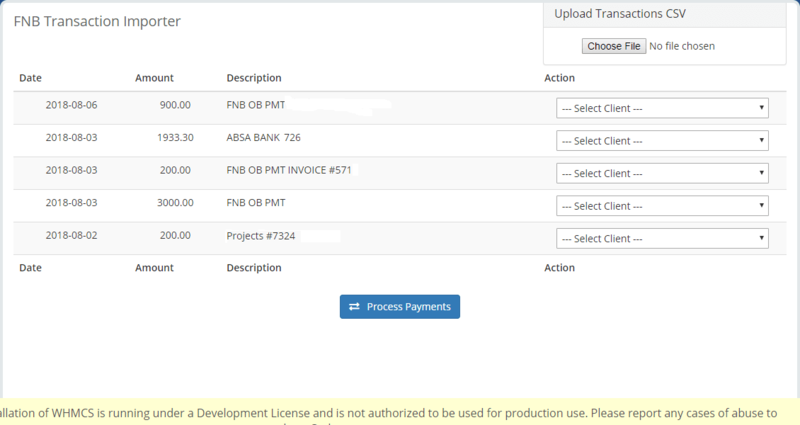 With FNB Transaction Importer for WHMCS you can now handle allocations from EFT payments easier than ever! FNB EFT payments are now easy to handle with WHMCS, No hassles, No Fuss!!! Any CSV can be adapted to work with it. Does it work with any CSV? If formatted the same as FNB exports, Yes it will.